HARD. I believe Wiz just wore these same ones in blood red (above) on the Letterman show. 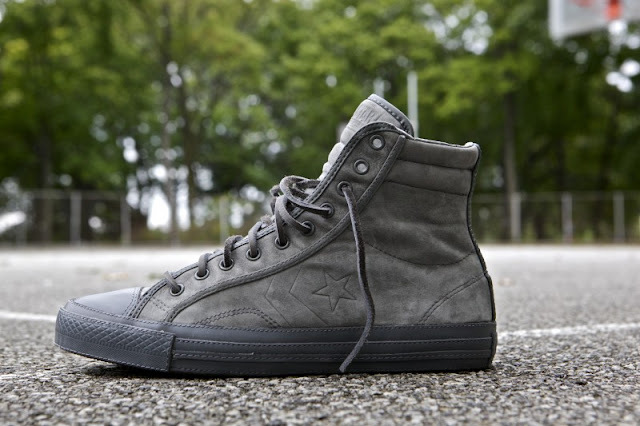 Converse introduces the Star Player 75 Hi Deluxe in a dusty, all light grey everything. Rich nubuck upper with tonal stitching, grey leather trim and debossed branding on the tongue and sides. The inside of the shoe is lined with perforated calfskin while the tongue and ankle collar feature a subtle quilted detailing. Option of rawhide leather or waxed cotton laces. 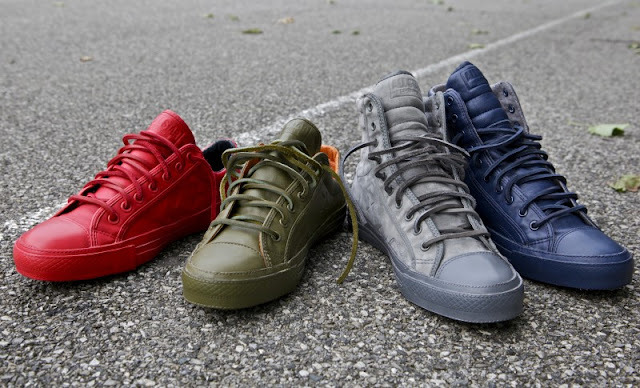 $110 and available at select retailers beginning Friday, April 15th Shout to Ronnie Fieg.